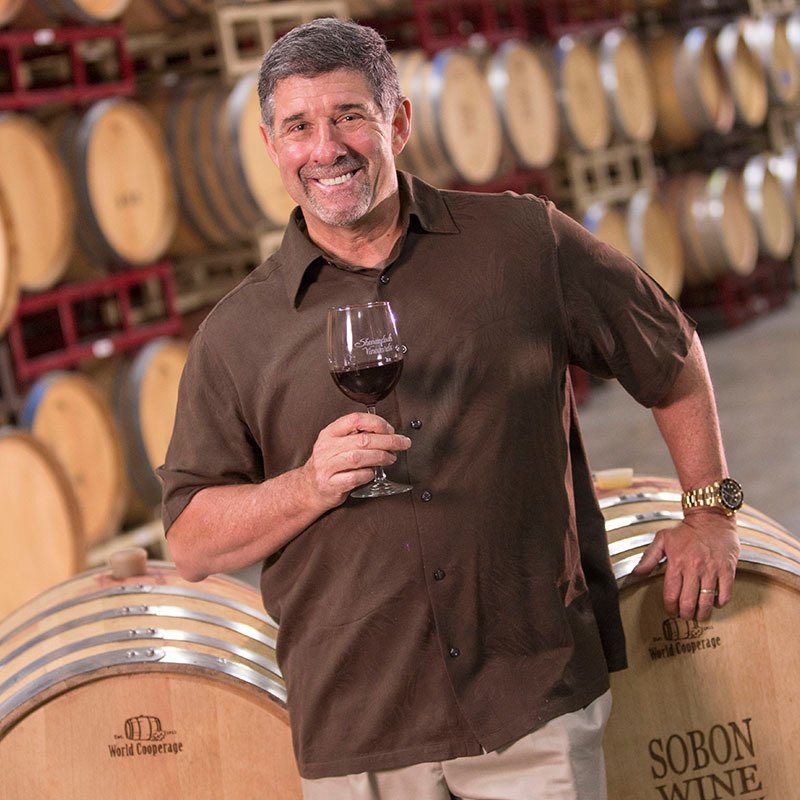 Over the years, Leon garnered many National and International awards for Sobon Estate and Shenandoah Vineyards wines. Both family label wines are distributed nationally, as well as internationally in Canada, Switzerland and Hong Kong. Leon is widely recognized as a leader in the wine industry and has actively participated in many industry boards and committees. He is also sought after as a judge for many prestigious wine-tasting competitions. Today ... the winemaking and business aspects continue to be a family affair. 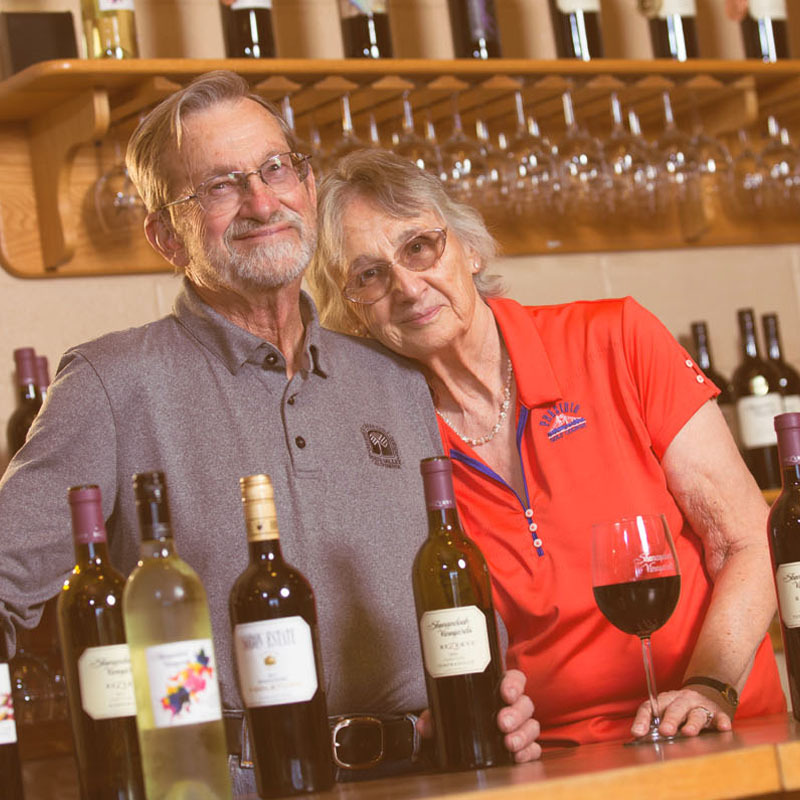 Shirley is the Finance & Gallery Manager while Leon contributes his years of winemaking knowledge to every vintage. Sons Paul, Robert, and Son in-Law Tom Quinn continue the family tradition we began all those years ago. 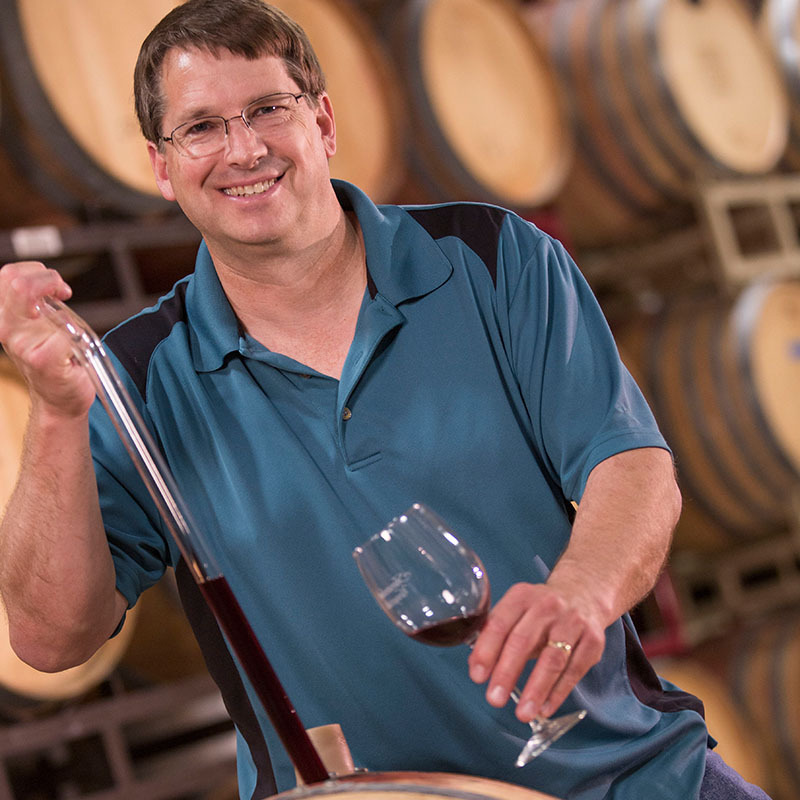 Paul Sobon has been in the Wine Industry since the family founded Shenandoah Vineyards. In addition to hands on work at the winery, his studies included UC Davis’ highly respected Eunology / Viticulture Extension program. Before starting full time with the family business in 1983, he traveled extensively in Europe and Australia’s wine producing regions. He studied Australian, Burgundian, and Bordelaise techniques of wine making and grape growing with Vincent Fabre of Chateau Lamothe Cissac in Bordeaux, France, and Stuart Anderson of Balgownie Winery, in Southeastern Australia. Since 1983, he has been directly involved in the daily operations and growth of the 40,000 case winery and 125 acres of Sustainably-farmed Wine Grapes. Paul also owns and manages his own small Zinfandel vineyard. This vineyard produces the much lauded ReZerve ‘Paul’s Vineyard’ Zinfandel. Paul is currently a Director of the Amador Vintners Association, and a professional member of the American Society of Enology & Viticulture. 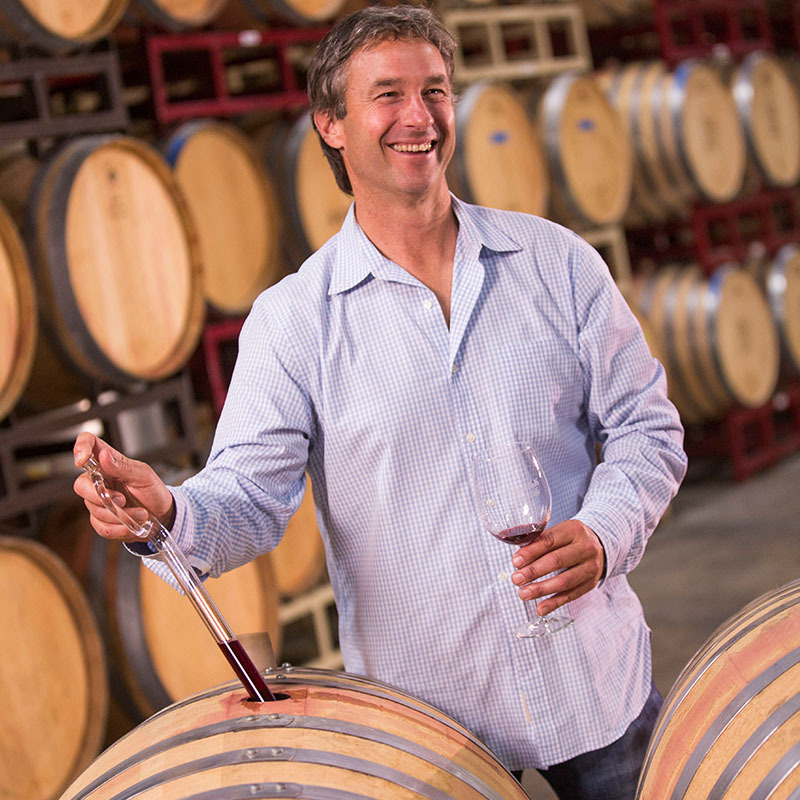 Robert Sobon grew up in the winery and chose a career focused on office operations. He attended Chico State University where he majored in Computer Science and Business. Today, he manages the Business Accounting and Computer Operations for both wineries, the Tasting Room, and day-to-day office operations. Along with his office duties, Robert balances his busy life with a dedication to family and civic responsibilities. He is a past Director of the Amador Vintners Association, and is presently a director of Family Winemakers of California. Tom Quinn was a wine sales rep in the Bay Area when he met Caroline Sobon. 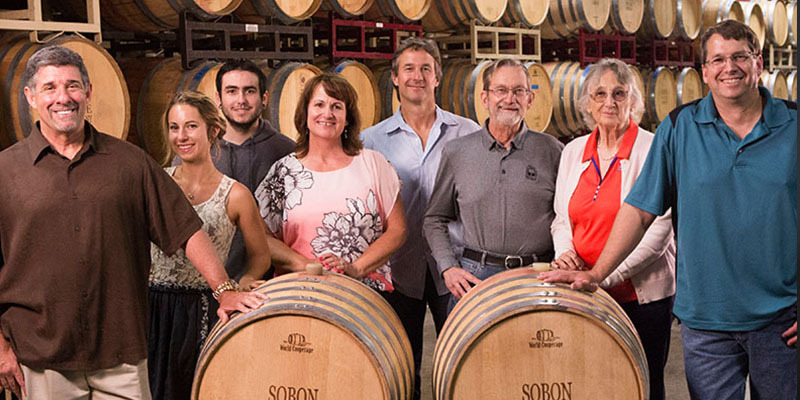 The pair eventually married and Tom came on board to put his superior industry knowledge to work marketing Sobon Family wines. Today Tom is one of the most respected wine reps in Northern California, and is responsible for our wine sales up and down the West Coast.